Manila forms part of a process of urban development that also takes in the whole of Spanish America and conforms to a single model of city. Manila, under the rule of Soliman, a Moslem and ally of the royal families of Sulu and Brunei, controlled trading activities between the Chinese and Malayans and the inhabitants of the interior. On 24 June 1571 Miguel López de Legazpi, hispanicizing his former name, founds the city of Manila on the left bank of the Pasig River on the edge of the bay, establishes a municipal Council and declares it the capital of the new territories under the Spanish Crown. The birth of Manila is accompanied by new activities that give rise to the appearance of urban life, hitherto unknown in the Philippines. Manila, like many others in Spanish America, is a port city, and will play a vital role as the point of exchange for merchandise traded between the Western world and the Orient. The fortress of Nuestra Señora de Guía stood guard over the city. 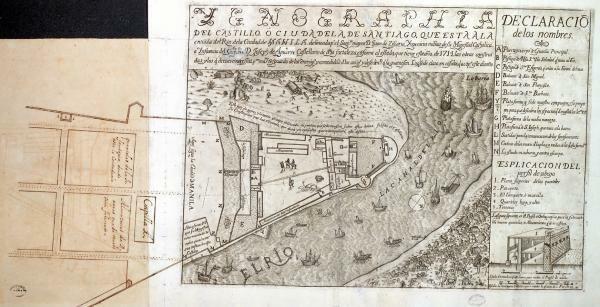 By the end of the 16th century the city was surrounded by a first walled defense which backed onto the river and the edge of the bay, with the Santiago Fort at its top end. Chinese trading merchants and craftsmen, known as Sangleys settle in Manila on the other side of the river and are the protagonists par excellence of life in the new city; a bridge connects them with the walled city. The city of Manila. Oil painting on the inside of a wooden chest, circa 1640-50. Museo de Arte Jose Luis Bello, Puebla. Mexico. 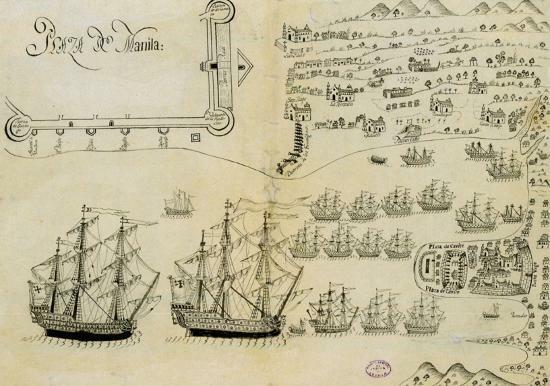 After the 1645 earthquake Manila was reconstructed. By the end of the 17th century, Intramuros had some six hundred houses that were protected by its stone walls. The city of Manila. AGI Manila was undoubtedly the center of the port life of the Philippines, and shared this task with the naval arsenal of Cavite; they were, in a sense, complementary cities. The Castle of Santiago in the city of Manila. Juan de Ciscara. 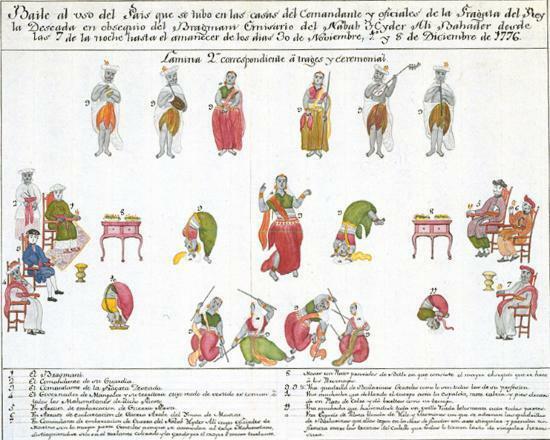 1714. AGI The Santiago fortress was built between 1596 and 1602 on the land promontory between the sea and the Pasig River, and was the most important fortification built in Manila. The walls encircling the city started at this point. Manila Bay. Rafael Cerero. 1888. 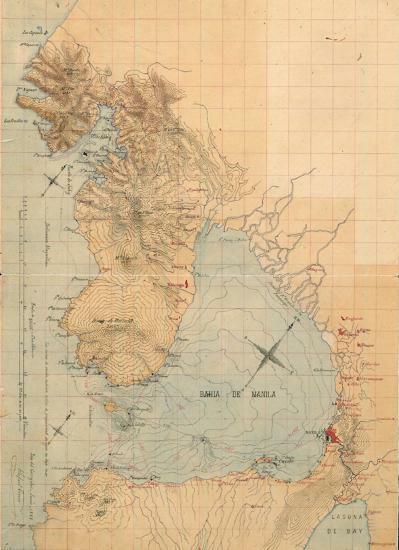 SGE Corregidor Island divides the entrance to the bay into two channels: one is the "Boca Chica", which separates the island from Punta Lasirí, and the other is "Boca Grande", which separates Pulo Caballo and Punta Restringa. Twenty-five miles ahead of them is the city of Manila. 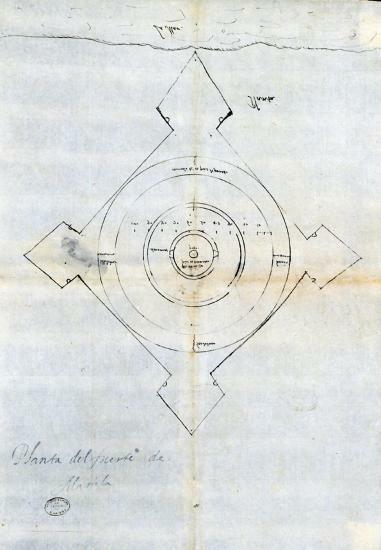 Ground plan of a fortress in Manila. AGI Luzon was the best defended island. From its beginnings, Manila attempted to fortify itself as it was a strategically important point on the route linking China with Cádiz. View of the bay and the city of Manila. Engraving made by Francisco Javier de Herrera. 1818. SHM The beautiful bay of Manila with its limpid waters was admired by all travelers and seamen putting into port on the coasts of the island of Luzon. It was used as an anchorage by the ships arriving from the principal trading center of Asia and America. View of the city of Manila from Bagumbayan. Engraving made by Esteve. 1818. 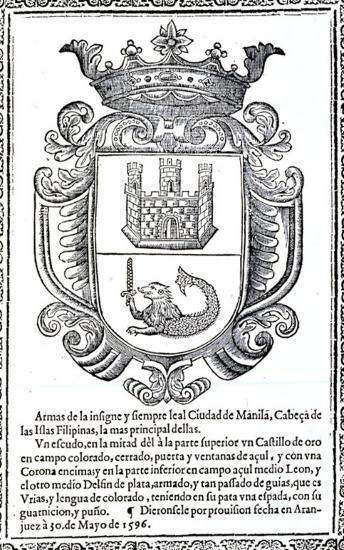 SHM In 1581, ten years after its founding, Manila received the title of "Insigne" (noble) and "Leal" (loyal), and became an episcopal seat under the control of Mexico after the proclamation of a papal bull. The Pasig River in the city of Manila. Fernando Brambila. Collection of drawings and engravings made on the Malaspina Expedition. 1789-1794. MN The city of Manila was founded near to the mouth of the great Pasig River, which was navigable as far as its source at the Laguna de Bay. Up until the 19th century, only one stone-built bridge connected the fortified precinct with the districts on the opposite bank.